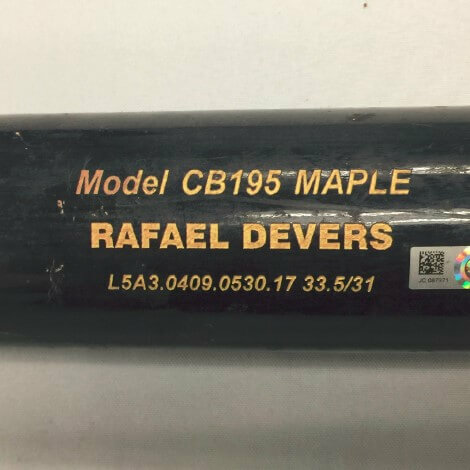 Chandler classifies Rafael Devers Maple CB195 bat as a “contact hitter model,” but anybody who has seen Devers go 400+ oppo knows that he’s not just looking for contact. In fact, a lot of pros with serious pop swing thinner-barreled, better-balanced bats that would probably fit into Chandler’s contact hitter category. 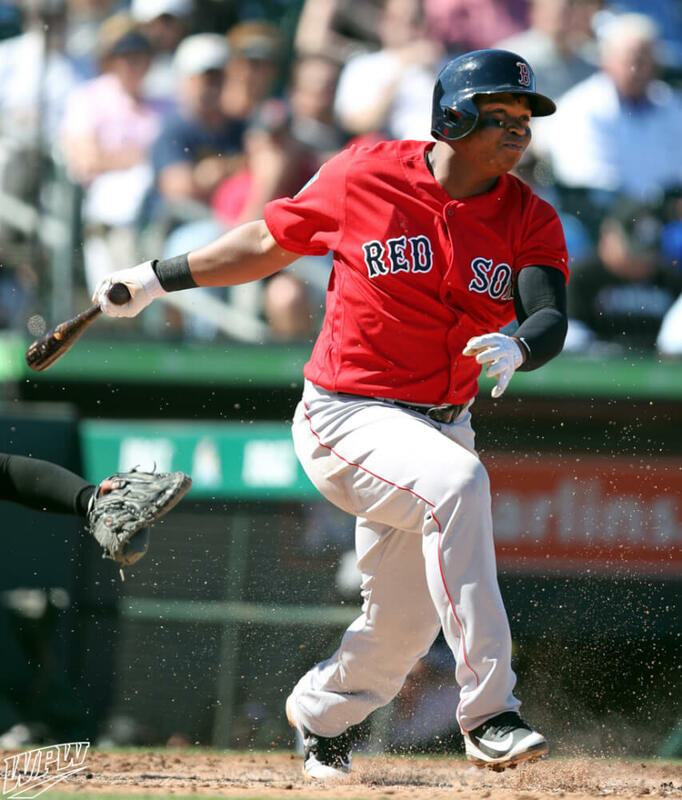 Categories: Rafael Devers, Gear, Bat, Boston Red Sox, Third Base.